This was an awesome cozy. I really liked Victoria Rienzi/Vick Reed. The setting of this story was great also. Who doesn't love the beach and the boardwalk. This book had a great cast of characters, a close-knit Italian family. When a big time producer eats in the family restaurant, Casa Lido, and is later found outside dead, Victoria's grandmother wants her to find the killer. So Victoria and her sister-in-law Sofia start and investigation. They have several close calls, but in the end, they figure it out. My attention was held from the beginning till the end, this was a great story and a great start to a new series that I look forward to. Great job Rosie. 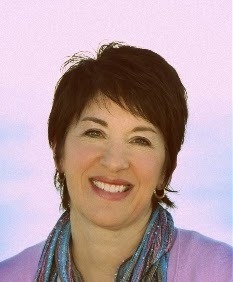 A Jersey girl born and bred, Rosie Genova left her heart at the shore, which serves as the setting for much of her work. The atmosphere of the Jersey shore is present in the details, whether it’s the smell of the sea, the sound of a Springsteen song, or the taste of a frozen custard from the boardwalk. And no summer is complete unless she has sand in her shoes. 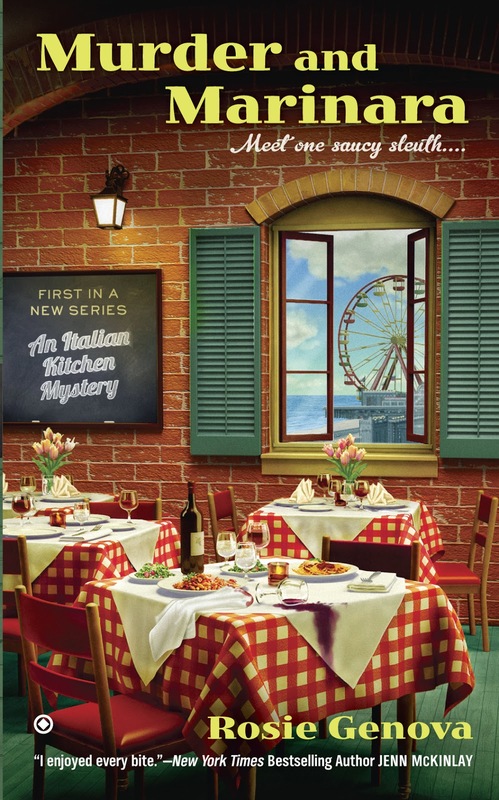 Her new series, the Italian Kitchen Mysteries, is informed by her deep appreciation for good food, her pride in her heritage, and her love of classic mysteries, from Nancy Drew to Miss Marple. An English teacher by day and novelist by night, Rosie also writes women’s fiction as Rosemary DiBattista. She lives in central New Jersey with her husband, two of her three sons, and an ill-behaved fox terrier. 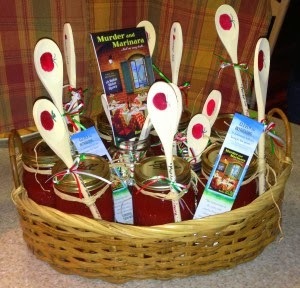 Rosie has generously offered a print copy of the book and one of these great spoons as a giveaway. Please leave a comment about why you want to read this book and leave your email address (please respond to any emails from me, I have been getting a lot of winners not responding). No email no entry, Open to US residents only. I will pick a winner on the 8th. Great review. I think the book sounds wonderful. Have restaurant with good food, small town problems with a reality show and murder-definitely sounds like a good mystery. Thank you for the opportunity to participate in this giveaway. Please enter my name. Thank you for being part of this tour!!! Wonderful giveaway, the book sounds great. 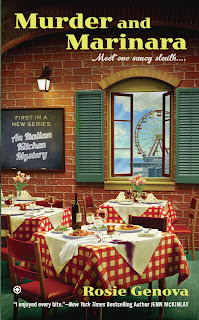 I love cooking and cozy mysteries about or with cooking in them are so much fun. I always enjoy food based cozy mysteries. I'm looking forward to reading this book. Great review! I love cozy mysteries! This one sounds yummy! I would like to give it a try. I would like to win this for my daughter as she loves cozy's, she has a whole book case full of them I think, lol. This new series sounds like it has a couple of elements I'd find appealing, a restaurant setting and a reality show taking place in book 1. I just like cozies in general but they are light, quick reads and tend to have interesting, likable characters. The book sound good and I enjoyed your review. Thank you for the chance at the giveaway!